If you’re learning Python, you may need a little more help than you’re getting in your class. 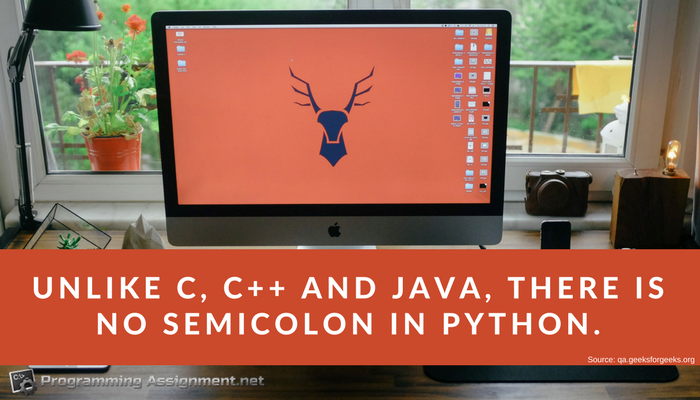 Python can be a tricky programming language, but fortunately, you can get help. A good Python GUI programming tutorial can provide you with everything you need to understand the syntax and commands you’re working on in your Python programming assignment. Before you can get started with a tutorial, though, you need to make sure you understand what exactly you’re working on. GUI stands for Graphical User Interface. Almost every computer today makes use of a GUI interface. Both Windows and iOS are examples of this. In contrast, the old DOS text interface is non-GUI. Everything there was done through typed commands rather than pointing and clicking with a mouse. A GUI makes using a computer or a particular program much easier because the user doesn’t have to know any of the typed commands. This Python GUI programming tutorial will walk you through the steps needed to create a GUI using this language. Note that this tutorial is simply a basic outline of what it takes to make a GUI. You will need to modify some parts of this outline for your particular program. First, you need to use a program such as QTDesigner to create your GUI. This program allows you to actually draw the various buttons, text boxes, and other elements of your GUI. There are a number of other GUI frameworks you can use, such as Tkinter, WxPython, and Venster. This tutorial discusses some particular steps needed in QTDesigner and Tkinter, but many of the other frameworks have similar steps. You will need to make sure you’ve imported the framework module before you can begin. Tkinter comes standard with Python, so if you’re using it, all you need to do is include the import Tkinter command. Next, you’ll use the Property Editor to set names of different properties and elements in your program. This will make coding your application much easier. Now it’s time to create a class. This class will need to inherit from the base GUI class in your toolkit. For example, in Tkinter, your new class will inherit from the Tkinter.Tk class. The next step is to make a constructor. Each element you have in your GUI will most likely be placed within a parent or container. For example, a button is usually on a pane. A pane may be part of a tab. Each constructor, then, will need to have the parameter for its parent as well as itself. You’ll want to keep track of these parents as you go because you may end up with quite a few of them. Once you’ve created your constructor, you’ll repeat these steps to create the rest of your GUI. Once that’s done, you can fill in the rest of your program so that the different elements of your GUI actually do something. Finally, you’ll need to initialize the GUI. You then create and execute your Main, which then creates the GUI and executes your program. If you’re having some trouble with your Python GUI development, these tips may help. Always make certain that you loop your Main function indefinitely. This way, the program will always wait for the user to click on something or enter characters from the keyboard. Since the Main will always loop, be sure to have a button for exiting the application. If you’re using Tkinter, you may want to use its built-in geometry management tools to organize all of the widgets you add to your program. This will help make your programs easier to read. Remember to import your framework at the beginning of your code! Because of the different methods of creating a GUI, there’s no standard type of coding. However, you can find Python GUI example code online and by reaching out to a professional assistant. These teams have years of experience in coding application in Python and can provide you with sample code that will help you with your own programming. If you’re stressed from working on a Python GUI that just won’t compile, relax. You can get all the help you need from one of our experts. Use the Python GUI programming tutorial that will guide you step by step through the process!